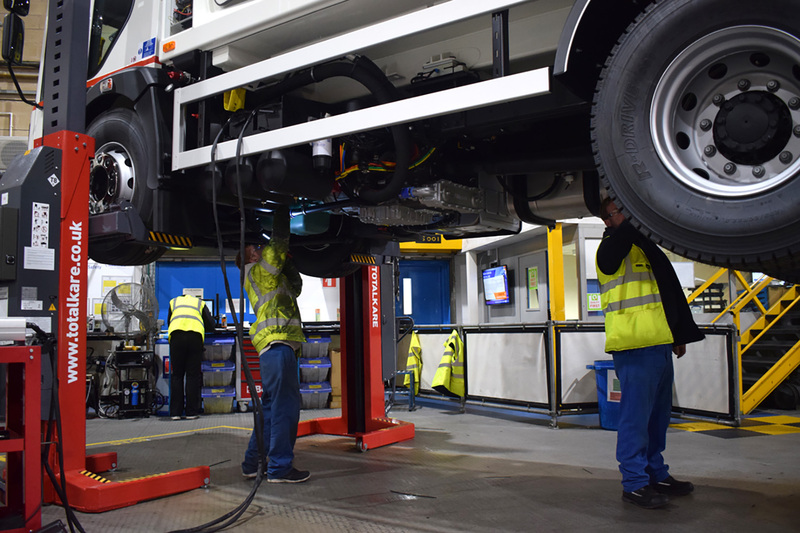 Dennis Eagle, the global manufacturer of refuse collection vehicles, has signed a major deal to renew the national service contract for all of its heavy-duty mobile columns lifts in the UK. The Warwick-based company has agreed to continue its long-standing relationship with Halesowen-based TotalKare, who will be responsible for servicing and maintaining over 50 different sets of column lifts. “Our Service Centres offer quality facilities committed to meeting all our clients’ repair and maintenance needs. We have an established reputation for producing high quality refuse collection vehicles, therefore having a reliable and trusted supplier in place is imperative to our continued success by helping to ensure our vehicles spend as much time on the road as possible,” commented David Nicholls, Service Operations Manager (South) for Dennis Eagle. Dennis Eagle has been producing industry-leading refuse collection vehicles since 1907 and recently previewed the eCollect – an all-electric refuse truck created for zero-emission, low-noise urban refuse collection – at the IFTA exhibition in Munich. 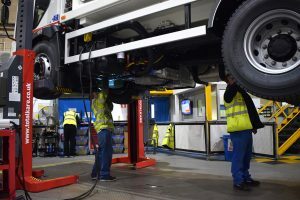 To support its UK client base, the company boasts 10 service centres around the country, each equipped with multiple sets of heavy-duty mobile column lifts from TotalKare. A truly versatile solution, each column is capable of safely lifting up to 7,500kg and is simple to manoeuvre around the workshop. They can also be used in sets of up to eight columns, providing a total lifting capacity of 60,000kg per set. TotalKare is the UK’s number one supplier of heavy-duty vehicle lifting solutions and aftersales care. Its products include four and two post lifts, forklifter ramp systems and a comprehensive suite of ancillary products.